These Terms and Conditions (“Terms”) apply to the use of the website (the “Site”) and related services (“Services”) owned or operated by BHBG. Use of the BHBG Site and Services is conditional on your acceptance of these Terms and constitutes your agreement to abide by the Terms, as well as any additional terms and conditions that are posted on specific areas of the Site. “We/Us/Our” means Banker’s Hill Business Group (BHBG) and/or its designated agents. 3.1) All Intellectual Property Rights in and to the content and design of the Site, all materials hosted on the Site and/or distributed in conjunction with the Site are reserved exclusively to BHBG (which for these purposes includes their suppliers). You are not allowed to use, reproduce or allow anyone to use or reproduce any trademarks or other trade names appearing on the Site or in the Licensed Products. The software which operates the Site is proprietary software and you may only use it as expressly allowed under these Terms. 3.2) All rights to the material on the Site or provided as part of a Service (including without limitation any news sent by email as part of a subscription service) (together the “Content”) belong to us or any third party content providers and are protected by the copyright, trademarks, and/or other intellectual property laws of the UK, US and other countries. You agree to abide by all applicable copyright, intellectual property and other laws, as well as the terms of any additional copyright notices or restrictions contained on the Sites or in these Terms. We may license third parties to use the Content at our sole discretion. 3.3) You may use the Sites and the Content solely for your own personal use and benefit and not for resale or other transfer or disposition to any other person or entity (the “Permitted Purpose”). You further agree not to use, transfer, distribute or dispose of any Content in any manner that might compete with our business subject to 3.4 below, with the exception of content made available for re-use through BHBG’s RSS feeds. 3.4) You may retrieve and display Content on a computer screen, print individual pages on paper (but not photocopy them) and store such pages in electronic form on disc (but not on any server or other storage device connected to a network), for the Permitted Purpose only. You may not reproduce, modify or exploit any of the Content for commercial purposes. You may use the in-built sharing tools to send an article from the Site to other individuals provided neither you nor such other individuals then use the Content for commercial purposes. You may on an occasional and irregular basis provide insubstantial portions of the Licensed in memoranda, reports and presentations. Where the Permitted Purpose is educational, you may on an occasional and irregular basis provide insubstantial portions of the Content to other staff and students or in scholarly works and articles. In all cases these insubstantial portions may only be made available in print or by secure electronic means to a limited number of individuals, and each such portion must include a copyright notice from BHBG and an original source attribution, in each case, as such notice and attribution is reasonably acceptable to BHBG. 3.5) Subject to 3.3, you may not allow any other person to use or share Authorized Users’ user names or passwords, or have access to the Site. Any breach of this restriction may result in immediate termination of Your (and all Authorized Users’) access to the Content and/or the Site or liability for damages. Except as permitted in 3.3 above or by prior written consent of BHBG, no portion of the Content may be reproduced or stored in or transmitted to any other website, newsgroup, mailing list, or electronic bulletin board, or stored in electronic or print form whatsoever. Any use of the Content not specifically permitted by clause 3 is expressly prohibited. Requests for permission for other uses shall be subject to BHBG’s sole discretion and, if granted, may be subject to an additional fee. 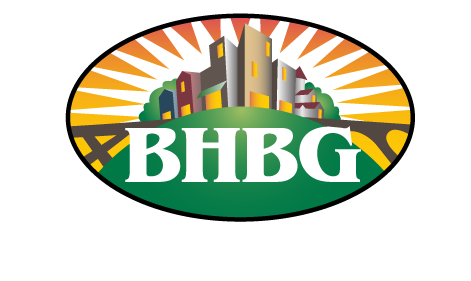 3.6) The trademarks “Banker’s Hill Business Group” and “BHBG” are the property of BHBG, other trademarks/logos appearing on the Site are the property of their respective owners, and none of these marks may be used without the express prior written permission of the respective owners. 3.7) If it is brought to our attention that you have sold, published, distributed, retransmitted or otherwise provided access to any article(s) from the Content to anyone without our express prior written permission, we will invoice you for copyright abuse damages of £1000 per article unless you can show that you have not breached any copyright, which will be payable immediately on receipt of the invoice. Any request for permission to republish, reprint or use for any other purpose any articles from the Site or our trademarks should be sent to the contact page. 4.4) Without prejudice to the limitation of liability provisions in clause 12 below, you agree that use of the Site and Services is at your sole risk and acknowledge that the items published on the Site may include typographical errors or inaccuracies. Services and Items on the site will be updated periodically. BHBG and our Suppliers make no representations, and to the fullest extent allowed by law, disclaim all warranties, express or implied, including, but not limited to warranties of merchantability, title and fitness for a particular purpose regarding the suitability of the information; accuracy, completeness, timeliness or reliability of the content, services, products, text, links, graphics or other items contained on or in the site, or the results of using or accessing the Items or the Site. We do not warrant that the functionality of the site will be uninterrupted or error-free, that defects will be corrected, that the use of any of the items will not infringe the intellectual property rights of any third party or that the site, including the servers that make it available will be free of viruses or other harmful components. By using the Site and Services you agree to assume the entire cost of all necessary repair, maintenance or correction which may have arisen from your use of the Site. 4.5) Subject to and without limitation to 4.4 and 12.3,BHBG will exercise reasonable skill and care in our provision of the Services, but from time to time faults may occur, in which case reasonable effort will be used to repair them as soon as reasonably practicable. 5.1) To become a Registered User, you must provide us with accurate and complete registration information and it is your responsibility to tell us of any changes to that information by clicking the ‘Your Profile’ link at the top of the site. If you do not provide accurate and complete registration information, we may not be able to provide you with the access to products or services you have requested. 5.2.2) “Multi Name User” Licence – This licence allows a specified list of Named Users access to the Site. Each will have their own username and password. 5.2.3) “Site” License. This Licence allows any member of staff within any wholly owned portion of a single company in any site in any location access to the Site provided they access from a single Internet Protocol address (I.P.) or I.P. range. 8.3) The bringing up of or presenting of our Content within another website (“Framing”) is not permitted without our express prior written permission, which may be obtained by contacting us and providing us with: (a) the name of your company; (b) your name, email address and telephone number; (c) the web address(es) where the proposed Deep Linking or Framing will occur; (d) specific details about the contemplated Deep Linking or Framing. 9.1.1) Links to other websites provided by third parties (“External Sites”). We shall endeavour to highlight such links, although some External Sites may be co-branded with ours. 9.1.2) Advertisements for, and/or the opportunity for you to purchase products or services from third parties or other group companies, and/or links to External Sites advertising and/or to provide the opportunity for you to purchase such products or services (“Third Party Services”). Any discussions or contracts relating to Third Party Services will be exclusively between you and the relevant third party. 12.3) We, our officers, employees, affiliates, subsidiaries, successors and assigns, suppliers and third party agents will not be liable to you directly or indirectly for: (a) any inaccuracies or errors in or omissions from a Site or a Service including, but not limited to, quotes and financial data; (b) any delays, errors or interruptions in the transmission or delivery of the Site or a Service; (c) any incidental, punitive, special or consequential damage, loss or expenses including but not limited to any loss of business, contracts, revenue, or profits, any business interruption, security breach, loss of data, loss of goodwill or reputation or other pecuniary loss suffered by you; (d) any damage, loss or expenses suffered by you as a result of any viruses, worms, “Trojan horses” or similar programs, denial or service attack, spamming or hacking or consequential damages or any claim against us by any other party; (e) any fault, inaccuracy, omission, delay or any other failure in a Site or a Service caused by your computer equipment or arising from your use of the Service on such equipment; or (f) any loss or damage arising by any reason of non-performance. 12.6) If you are ordering goods for delivery outside the European Union, you may be subject to import duties and taxes levied when the package reaches your country. Any additional charges for customs clearance will be paid by you. Customs policies vary widely from country to country, so you should contact your local customs office for further information. Additionally, you will be considered as the importer of record and as such must comply with all laws and regulations of the country in which you receive the goods. Cross-border deliveries may be subject to opening and inspection by customs authorities. We may provide certain order, delivery and product information to our international carriers and such information may be communicated by the carriers to customs authorities in order to facilitate customs clearance and comply with local laws. If the order is a gift, the package will be marked ‘Gift’ but the cost of the item will still be stated on the customs form. 25.1) No joint venture, partnership, employment, or agency relationship exists between you and BHBG as a result of this Agreement or your use of the Products or the Site.